At the beginning of the year I unveiled my plan to make Enora my first fully published world. With that world comes new monsters, races, subclasses, and more. 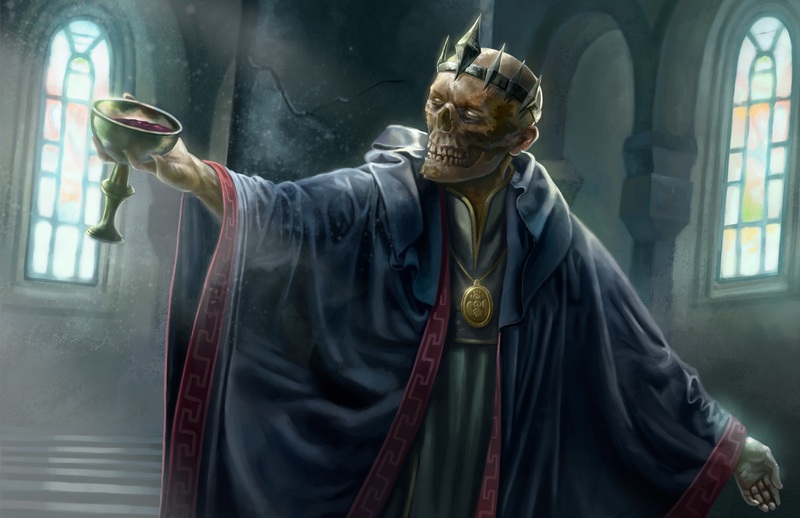 I’m now adding a sorcerous origin to the undead world – lichtouched. Note that what is below is considered playtest material. Please let me know what you think! Your innate magic comes from some place of dark energy. Your parents may have been cursed by a powerful undead spellcaster. You could have visited a plane of negative energy. Perhaps you were even once an undead creature yourself. The reason you attuned to necromantic magic may never be clear, but what is obvious is that you can wield this power as easily as any lich. When you choose this origin at 1st level, you gain the chill touch cantrip if you don’t already know it. In addition, when you cast and deal damage with chill touch, add your Charisma modifier to the damage roll of the spell. Starting at 1st level, your flesh takes on a dull gray or stark white appearance. You are resistant to necrotic damage and have advantage on saving throws against effects that reduce your hit point maximum. Starting at 6th level, when a creature you can see dies, you can use your reaction to consume its soul. You regain 2 sorcery points and the creature’s soul is destroyed as a result. You can use this feature twice. You regain any expended uses when you finish a long rest. Starting at 14th level, you are immune to disease and poison. In addition, whenever deal necrotic damage to a creature with a spell you cast, that creature cannot regain hit points until the start of your next turn. Beginning at 18th level, you can channel necrotic energy to become ghostly. As an action, you spend 5 sorcery points to draw on this power. For 1 minute or until you lose concentration (as if you were concentrating on a spell), you gain a fly speed equal to your walking speed and you can move through other creatures and objects as if they were difficult terrain. You take 1d10 force damage if you end your turn inside an object. While in this form, you are resistant to bludgeoning, piercing, and slashing damage from nonmagical weapons as well as acid, fire, lightning, and thunder damage. Rudy and James discuss the thought process that went into writing Story Arc 6, along with what the future holds for HSWT! Here is the conclusion to Story Arc 6, filled with battle, magic, and old lady threat! Will Parties 13 and 14 escape with their lives? Will Markham the Betrayer be brought to justice? Tune in to find out! 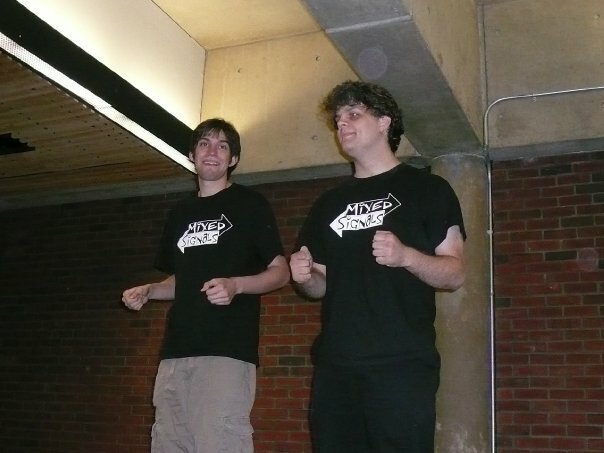 It will likely be no surprise for any of you to learn I was in an improv troupe in college. Me being hilarious (clearly) with my pal Vegas Lancaster back in 2008. I know many of us Game Masters heard or read the old piece of advice to say, “Yes, and…” when a player throws out an idea as a way to build story cooperatively. That advice is often immediately followed up or preceded by the person telling you that this idea is a basic rule of improv comedy. Why not apply improv comedy advice to RPGs? It makes sense. D&D is basically improv fantasy. Dread is basically improv horror. Night’s Black Agents is basically improv super spies vs vampires. And so on. It’s all collaborative storytelling. The “Yes and…” technique is a handy piece of advice that I employ in my games (to a point, but that’s another post). It got me thinking, “Are there other improv comedy techniques or tips we can steal for our games?” Yes. A lot. Today I want to share one mnemonic I learned in improv that helps establish scenes and brings NPCs to life. It helps when I need to create an NPC on the spot and breathes pizzaz into any generic shopkeeper or street urchin. It helps give named NPC 41 in a published adventure a personality and backstory without panic. It keeps you calm when the players zig and you expected them to zag. All you need to do is think, “LARCH.” That’s Location, Action, Relationship, Characterization, and History. When it comes to meeting an NPC, the first thing you should establish is their location. Where an NPC meet the player characters says a lot about that NPC. For instance, if the characters get an invitation to meet the NPC for a meal, do they dine in the common room of a run down tavern, the private club room of an upscale establishment, or the NPC’s home (which could be a home-cooked meal in a shack or a feast prepared by servants in a mansion)? Do they meet for breakfast, lunch, dinner, or afternoon tea? If the characters meet the NPC on the street, is a shadowy alley, paved main street, or trail in the wilderness? All of these details say quite a bit about the NPC by showing the characters where they feel most comfortable. Before you get into describing the NPC, describe their location. NPCs do not stand around and wait for the characters to approach them. They’re busy people! The evil cult leader is in performing a sacrificial ritual or reading an ancient tome or taking a nap when the characters roll up to her hidden swamp cave. A busy noble asks the characters to join him in his carriage as he rides from one appointment to the next. An urchin begs passersby for copper pieces as she shares rumors with the characters. A scientist browses through some album covers in a record shop as she casually passes the player characters her secret formula. Actions speak louder than words and clue the players into each NPC’s personality. By deciding what actions your NPCs are taking when they meet with PCs, it helps you as the GM settle into that particular character as well. NPCs should know other people and places in the world beyond the player characters. During conversations with the PCs they should mention friends, acquaintances, enemies, rivals, family, celebrities, favorite dining establishments, inns to avoid, and more.It is most fun to connect new NPCs to people and places already known by the characters. If the adventurers are referred to the NPC A by NPC B, NPC A should mention NPC B’s name and how they feel about that person. You start to fill out your world with new connections and interesting relationships and plots when you do this. If NPC C hates NPC B who is friends with NPC A, then odds are NPC C also hates NPC A… but maybe not! (Wouldn’t that be interesting?) Forming these relationships helps establish an NPCs character by connecting them to the world and simultaneously builds out your world. It also helps the characters get an idea of who your NPCs are beyond their presented self. If the kindly grandma hates the noble paladin, someone is probably not what they seem. Personality and mannerisms are two important components to your NPC. When you’re making a new NPC write down an adjective and an character archetype and play to those ideas (e.g. Upstanding Criminal, Cowardly Clerk, Noble Henchmen, Loyal Politician, Mad Scientist). These words should have no strict interpretation. You are the only one who will ever see them. You decide what they mean. For instance “Mad Scientist” could mean an inventor who is angry, or a crazy supervillain with no post-graduate degree of any kind. By writing two words down next to the NPC’s name, you’ll remember more details about the character the next time they cross paths with the PCs. If you need to create an NPC on the fly, choose or roll on the table below. 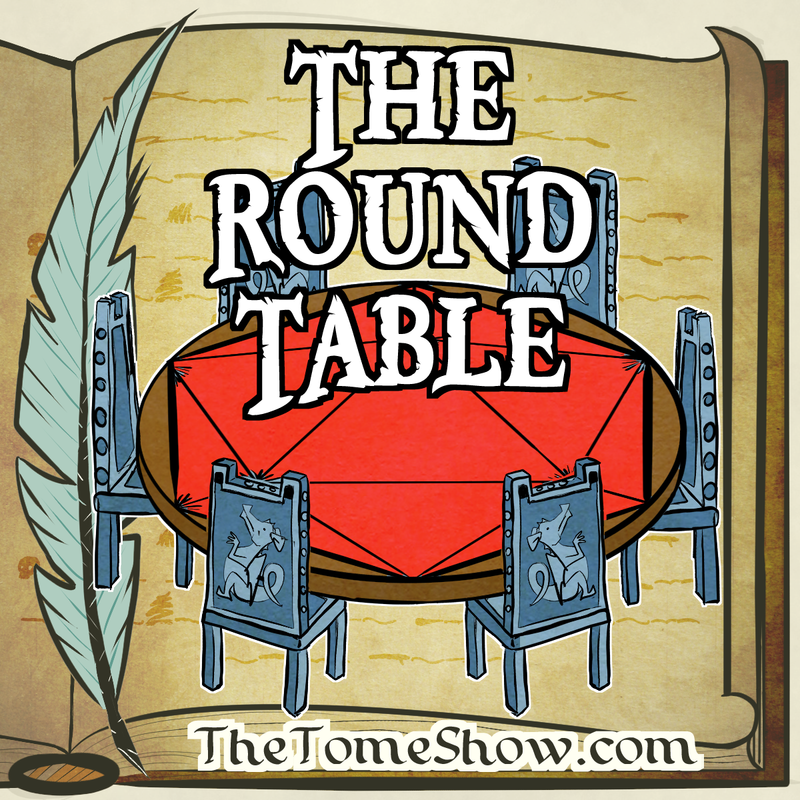 If you want to take things a step further, use the tables in my NPC mannerisms post. Your NPCs didn’t just suddenly appear in the world. They have been living in it their entire life (probably). What accomplishments do they still talk about that exist in the world at present? How do they feel about big world-shaking events of the past, or even smaller events, like what the PCs did on their last quest? NPCs should have feelings about events that transpired before they met the characters and should have an impact of their own (no matter how small) on the world. If the merchant up and leaves town because the PCs threatened him, how does the rest of the community react to see their favorite bait and tackle shop close its doors after 20 years because some hooligans scared Mr. Potter? Just like relationships, when you create history, you’re defining your NPC and worldbuilding at the same time. The adventure into the below dark continues, with Party 13 split! Oh no! Will they meet new friends, or new enemies? Listen and find out! I’m sure this was one of those moments where rules as written clashed with rules as intended. The Dungeons and Dragons default assumption is that most boats, buildings, and other large objects aren’t made of metal so this would never come up. I didn’t realize I’d break the game with my (admittedly ridiculous) battleship. Since there were plenty of other enormous metal objects in the party’s future, I didn’t want to say yes outright. I also didn’t want to kill a player’s cool idea, so I said, “You can heat the entire ship… if you use an 8th level spell slot.” Vegas agreed and the dragonborn fried. That got me thinking about how spells could be used with higher level spell slots to do things beyond their normal description and the “at higher levels” description. I came up with a rough system below. Let me know what you think! I’m definitely still playing with it. I don’t want to step on the sorcerer’s toes. Metamagic is one of the sorcerer’s biggest class features. I’m not going to try to replicate what exclusively belongs to that class. Warlocks are use higher level spell slots to cast lower level spells. Pact Magic means a high-level warlock is always using 5th level spell slots to cast spells. While this won’t have too great an impact, since the intent is for warlocks to be able to cast a few powerful spells between short rests, I am still going to keep an eye on this, particularly as it pertains to spells that don’t already have an “at higher level” effect. Spells that have an area of effect which is a cone, cube, cylinder, line, or sphere, and already contain an “at higher levels” effect in their description are eligible for this spell slot upgrade, which is used in place of the current “at higher levels” effect. The spell’s area of effect dimensions are doubled when the spell is cast using a spell slot two levels higher than the spell’s initial casting slot. Spells that have a material component for which there is no cost listed are eligible for this spell slot upgrade, which is used in place of any current “at higher levels” effect. The material component is not required to cast the spell if the spell is cast using a spell slot one level higher than the spell’s initial casting slot. Spells that require a saving throw are eligible for this spell slot upgrade, which is used in place of any current “at higher levels” effect. If the spell requires a Constitution, Dexterity, or Wisdom saving throw, you can change the save to be one of the others in that list if the spell is cast using a spell slot two levels higher than the spell’s initial slot. If the spell requires a Strength, Intelligence, or Charisma saving throw, you can change the save to be any other save if the spell is cast using a spell slot two levels higher than the spell’s initial slot. You must describe how your spell has changed to require this new save. Spells that deal damage are eligible for this spell slot upgrade, which is used in place of any current “at higher levels” effect. You can change the damage type of the spell to any other damage type if the spell is cast using a spell slot two levels higher than the spell’s initial slot. 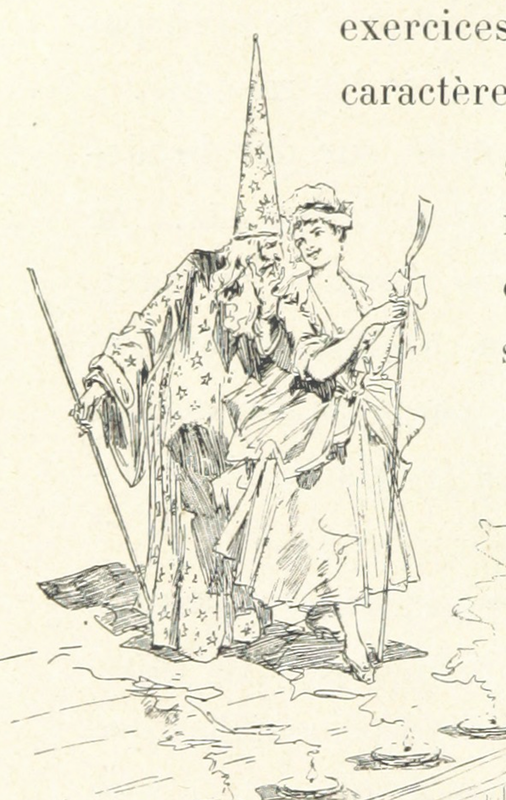 At the DM’s discretion, you can increase the effect of a spell to make it more potent. You propose how you’d like to use the spell. For instance you might say, “I’d to target a creature with and Intelligence score of less than 4 with Tasha’s hideous laughter,” or, “I want to block both undead and fiends with my magic circle.” The DM then determines if this action is possible and if so, what level spell slot should be used to create the desired effect. To decide which slot should be used, DM’s should first ask, “Does this new effect come close to the effect of another spell?” If the answer is yes, then the spell slot required should be that comparable’s spell’s level plus two. For instance, if a character wants to shape a fireball spell into a 60-foot-cone, that’s an area similar to the 5th-level cone of cold spell, so the DM might tell the character this is possible using a 7th-level slot. If the desired effect isn’t similar to any spell that already exists, then think about the scale sliding in powers of two. If the change is rather minor, it should cost a spell slot two levels higher than the initial casting. If it is a major change, it should cost four levels higher than the initial casting. If the change completely redefines what the spell can do, it should cost six levels higher than the initial casting. DMs should let the player know this is an experimental process and that rulings may change. In all cases the spell should gain no other benefits from the higher level casting than what the player and DM agree upon.